A timeline of the case, from January 13, 1999 when Hae disappeared, to June 6, 2000 when Adnan was sentenced. This is a map of the key locations in the story and the cell towers that were triggered by Adnan's cell phone on January 13, 1999. 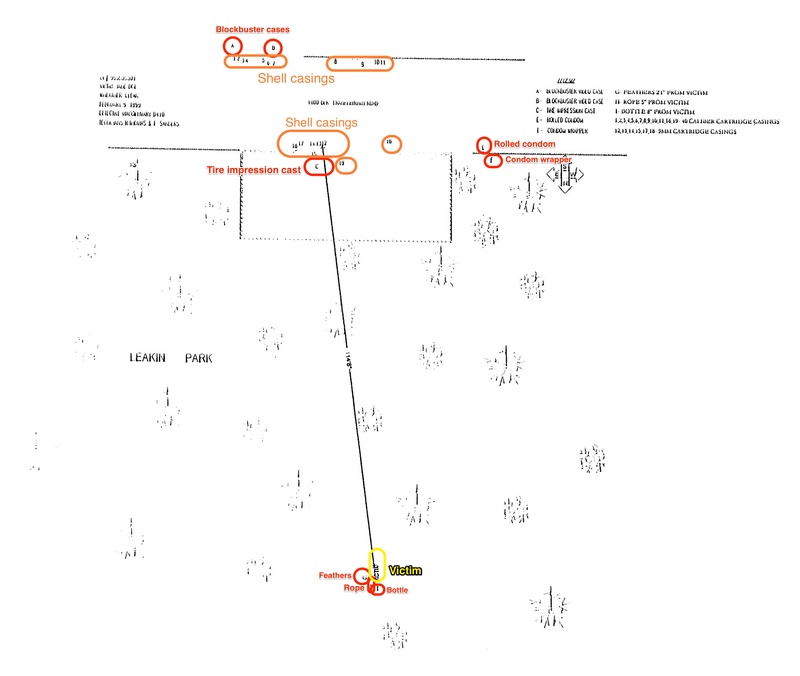 Map of the gravesite and the locations where the police found evidence. The key is hard to read, so we circled the evidence and added some annotations explaining what each object is. Click on the image to see a larger version of the timeline of the case.